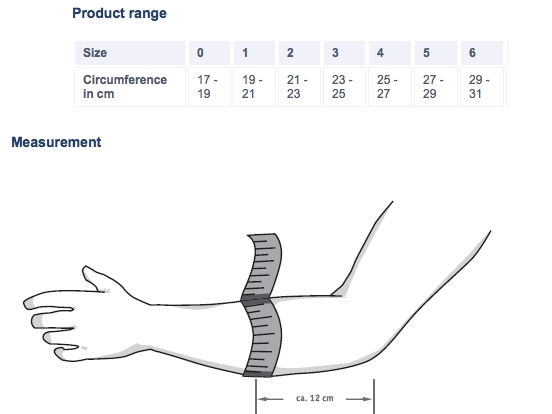 Bauerfeind Elbow Braces Toronto | Scarborough Pharmacy | Kennedy Road I.D.A. Stabilizing support for the treatment of tennis elbow. The EpiPoint® stabilizing support relieves tendon pain such as tennis elbow (epicondylitis lateral) and similar muscle and tendon attachment site irritation or inflammation. Its integral elastic pressure cushion (pad) relieves pressure on the tendon attachments at precisely the right points. A special red warning section indicates if the strap has been pulled too tightly and if the pressure is therefore too strong. It can be worn on either the left or the right arm.